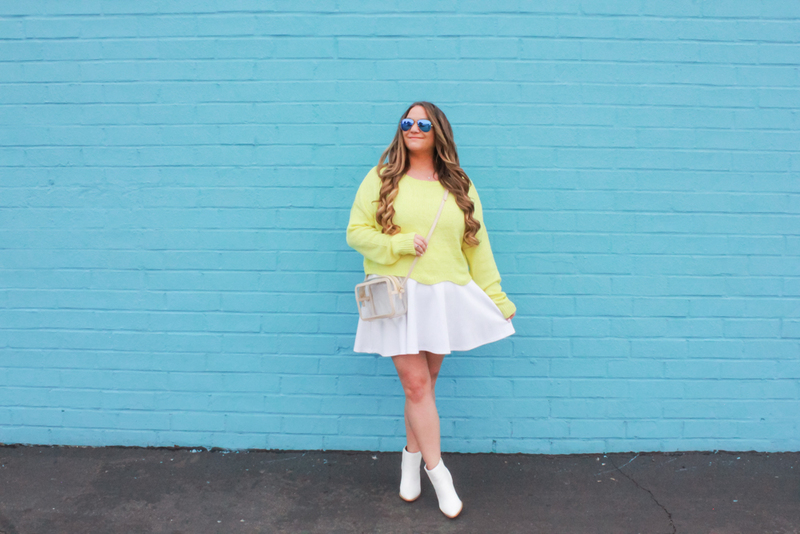 For spring I have some favorites I will be wearing all season long and this yellow sweater, white skirt, white booties + bag are pretty much a major part of them! 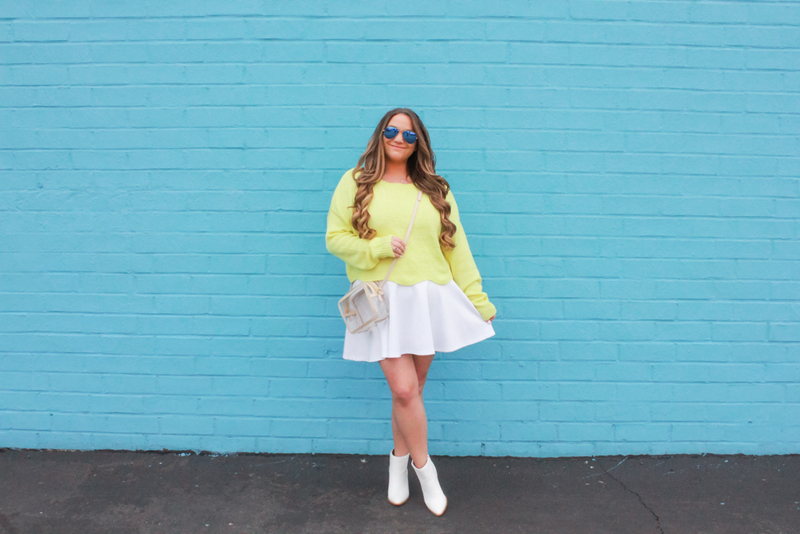 As you all know, I love a major POP of color so I began stocking up on bright neon + pastel sweaters for spring + summer, like the one I am wearing here. This one is lightweight, perfect for layering + it is great to wear over a bralette or swimsuit for upcoming festival season! In addition to my love of colorful sweaters, I am obsessed with all white everything. 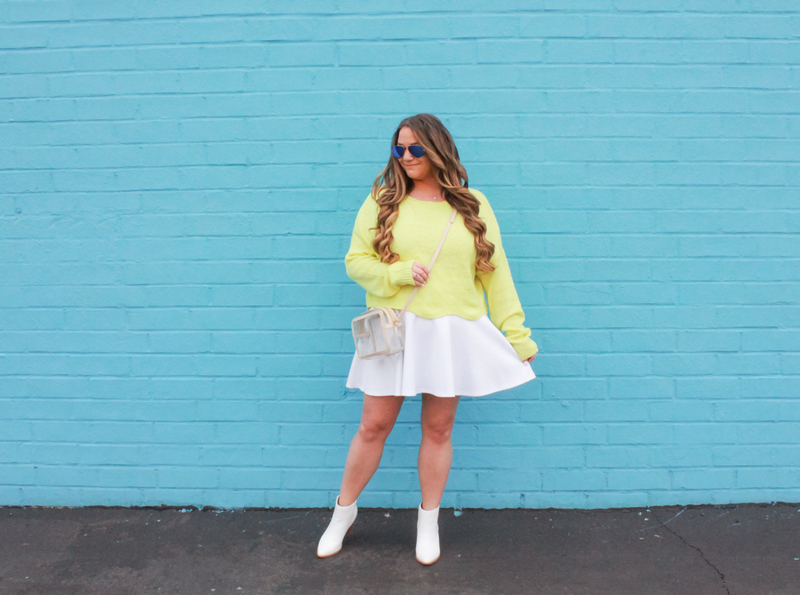 This white skater skirt is a piece I wear constantly + with it retailing for under $20 on Amazon it is a total must-have you should have in your spring wardrobe. 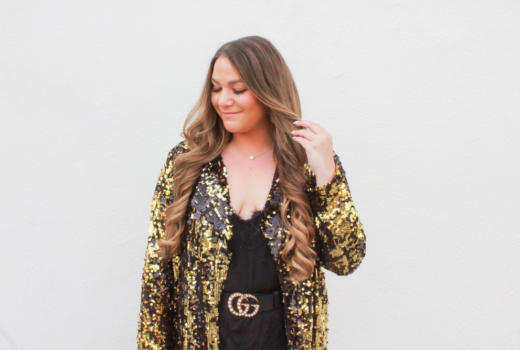 My other spring essentials? These chic white ankle boots that are perfect for work or play AND festival season! 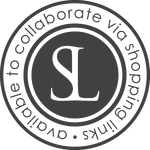 I am linking to a few favorites below + they are well worth the buy! This bag is another must-have for festival season – It is great to wear when out all day at concerts + easy to check through security because of it’s clear aesthetic and handy size.